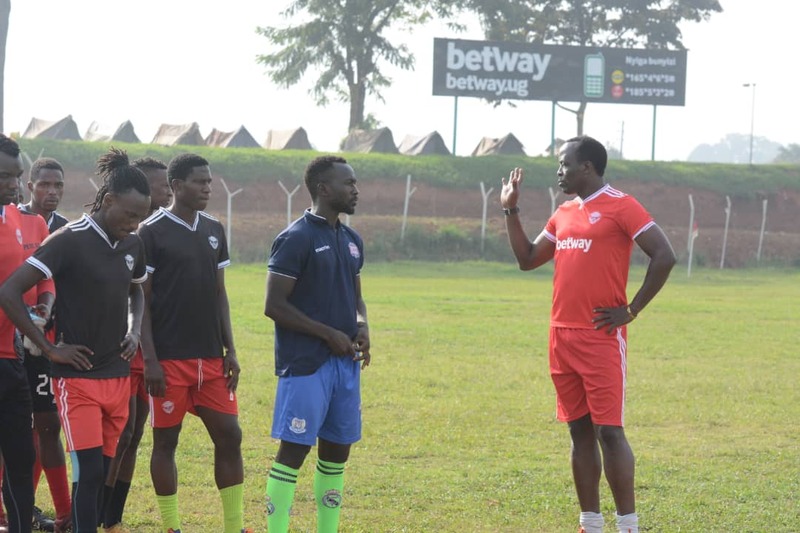 WANKULUKUKU – Barely 24 hours after he was confirmed as the head coach of Express FC, George Ssemwogerere has conducted his first training session at Wankulukuku. The former Red Eagles captain replaced Kefa Kisala at the helm following recent club short-comings which were climaxed with a 2-0 home loss to Police FC on Monday. Before the day’s drills started, the team held a 45 minute bonding session which started with CEO Junju Hamza making the introductions. After the all talk session ended, the players and new technical team that also features Hassan Mubiru and James Magala, went through a pressing and ball retention routine. From there, the players were put through a stationary exercises endurance session which lasted up to an hour. After the morning training, Ssemwogerere spoke to the media for the first time and assured the Express fraternity that he is here to effect change and progress. “Express has young players who only need to be made aware of the team they are playing for, said Ssemwogerere. “Express is a big team that they should play for with all their determination and desire. That is what we have to work on immediately. “My target is to take Express into respectable places on the log. “As a coach at a big club like Express, you always want to finish as high as possible and it is my target to make the team finish in the top spots. About the players he has not been able to meet today due to injuries, Ssemwogerere assured that he is already in contact with them. “I am aware that some of them are injured. “I made a few phone calls to them and they promised to try and recover as soon as possible so as they join u.
Star-player Tony Odur and new signing Goffin were absent from training on Wednesday due to injuries. Ssemwogerere also noted that he intends to change the way the players train so that they can be in the best possible physical and mental state to compete. Unlike under Kisala, the team will now hold double session daily including one in the morning and another in the afternoon. Express’s next game will see them travel away to BUL FC on Sunday. They are currently in 10th on the StarTimes Uganda Premier League log with 21 points from 17 games.